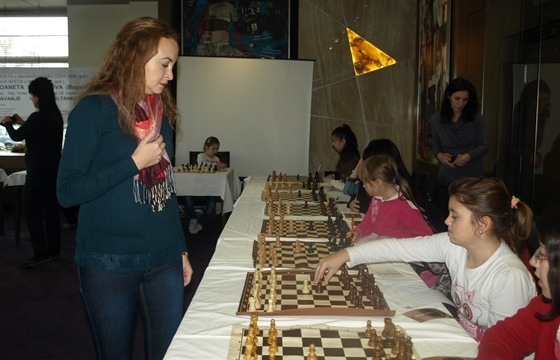 The chess fans from Nis, Serbia, were trembling with excitement as the 10th Women’s World Champion Antoaneta Stefanova visited the city on 28th November to promote the game among the young girls. 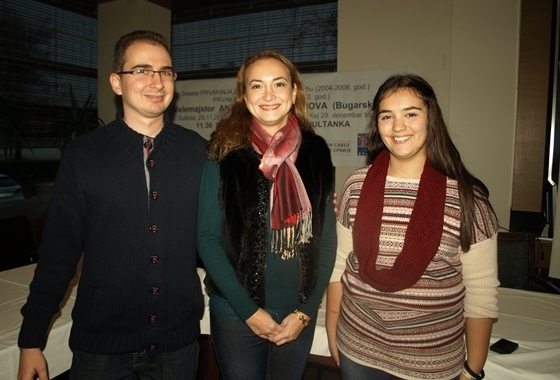 Her visit to Nis was organized and sponsored by the FIDE Commission for Women’s Chess (WOM). 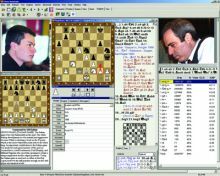 The technical organizers were Chess Federation of Central Serbia, Nis County Chess Federation, Nis City Chess Federation and Chessdom. 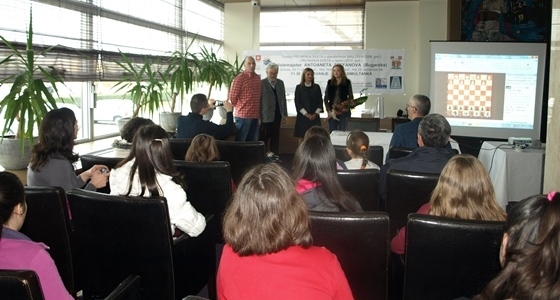 The one day program included reception in the City Hall of Nis, a one-hour lecture and simultaneous exhibition against 20 talented girls from Nis and Plovdiv. 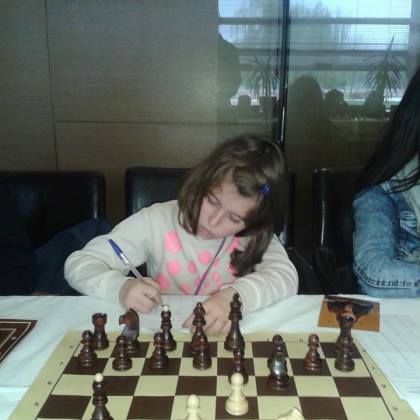 In the talk with the City Sports Councilor Milan Pesic, Stefanova said that she was happy to come to Nis and support the efforts to involve more girls into chess. 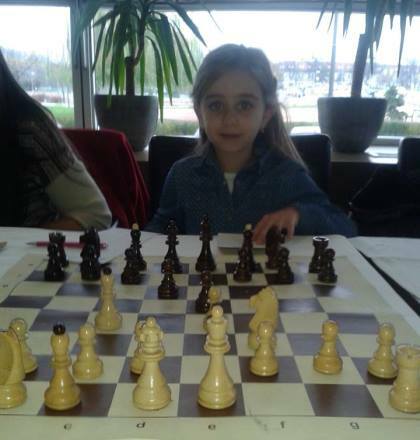 The Councilor was interested to learn about the new trends in chess coaching and asked for more frequent visits of the top female players. 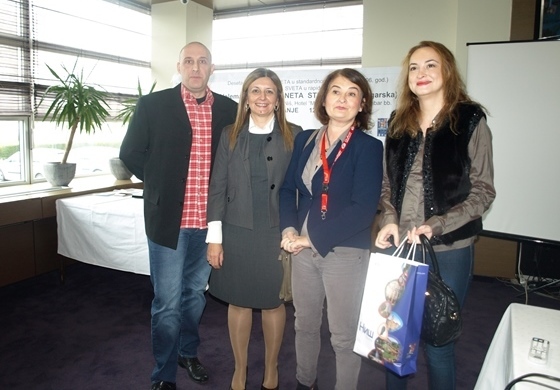 In the full hall of the Best Western Hotel My Place Stefanova hosted a very instructive lecture on “How to beat the World Champions”. 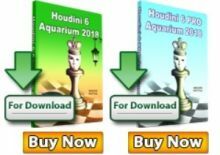 The lecture provided a plentiful of useful tips and practical advices. 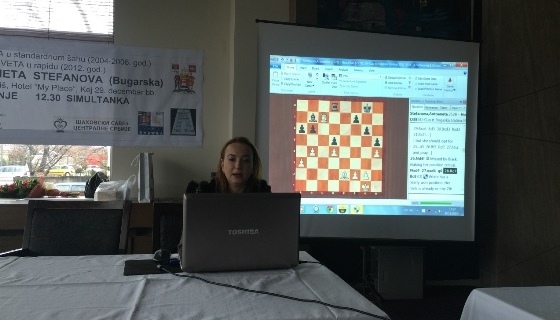 After a short break for refreshment, the simultaneous exhibition on 20 boards followed. 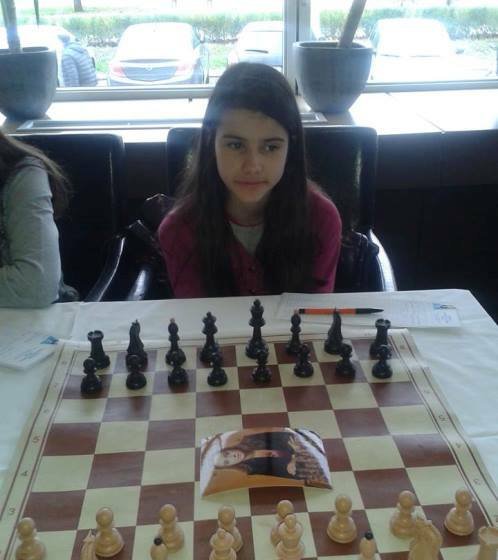 19 girls from Nis and special guest Viktoria Radeva from Plovdiv participated. 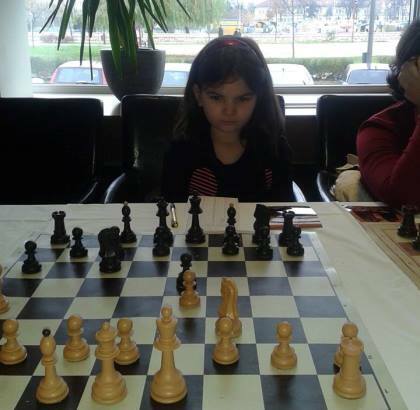 The honorary first move was made by Consul of Bulgaria Atanas Krstin. Aca Celtik, the frontman of the popular musical band Orthodox Celts, also attended the event. 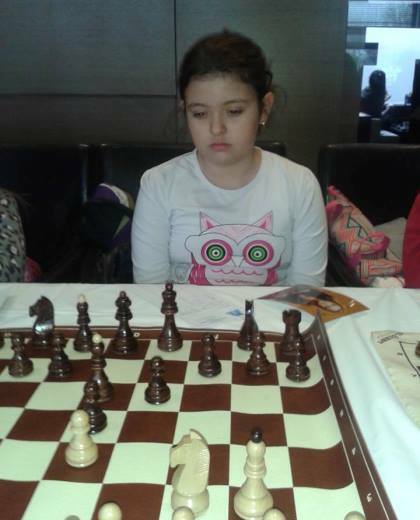 The girls provided strong resistance, but after nearly three hours of play, Stefanova won all games. The other girls also had their say. 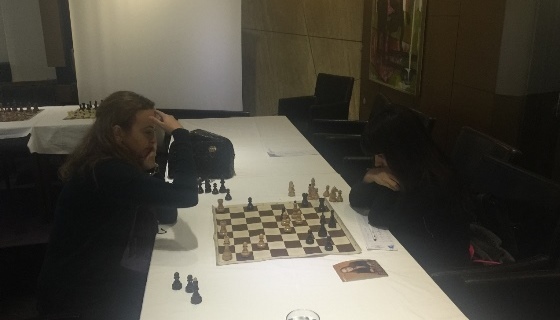 Chess fans from Nis are deeply touched by the attention given from the FIDE Commission for Women’s Chess and Antoaneta Stefanova. 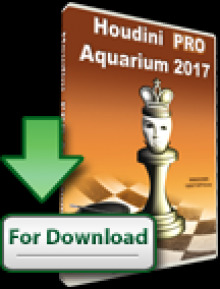 Huge thanks to Dragana Simic, Igor Lukic, Miroljub Stankovic and Anton Mihailov for making certain that the event runs smoothly!